At the end of summer, probably the main flowering season in my garden I like to think about what has gone well and what has gone less well. The weather has been a bit odd to say the least this summer which has been good for some plants and not others. Fruit wise, the raspberries have been brilliant. 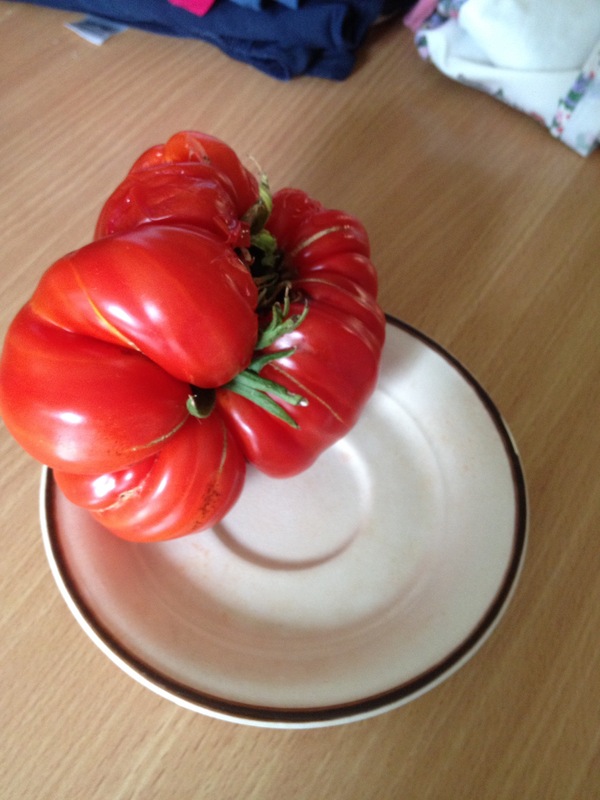 The tomatoes less so, we’ve had 2 beefsteak tomatoes although I was advised they wouldn’t ripen outside and they did. (1 picture below) The other 2 were very unsuccessful especially as one wasn’t what it said on the label and so I didn’t know what was ripe when. My sweetpeas have been amazing but I need to give them something better to grow up next year rather than the next closet plant – they just didn’t like their bamboo canes) The cosmos and dahlias (some grown from seed are pictured below) have had mixed results – some have flowered for months and others haven’t yet flowered. They need to hurry up otherwise it’ll be too late! 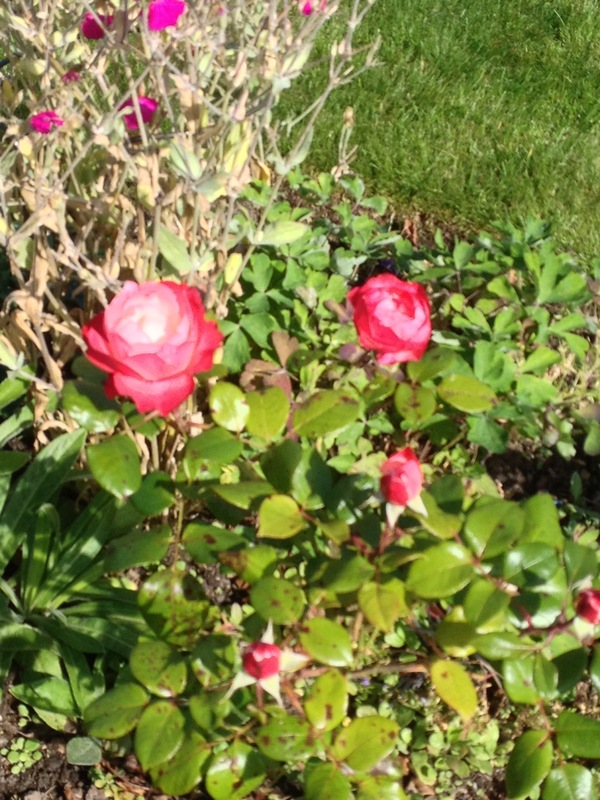 I keep trying to persuade them – it’s supposed to be good for plants if you talk to them! Presumably they breathe in what we breathe out. 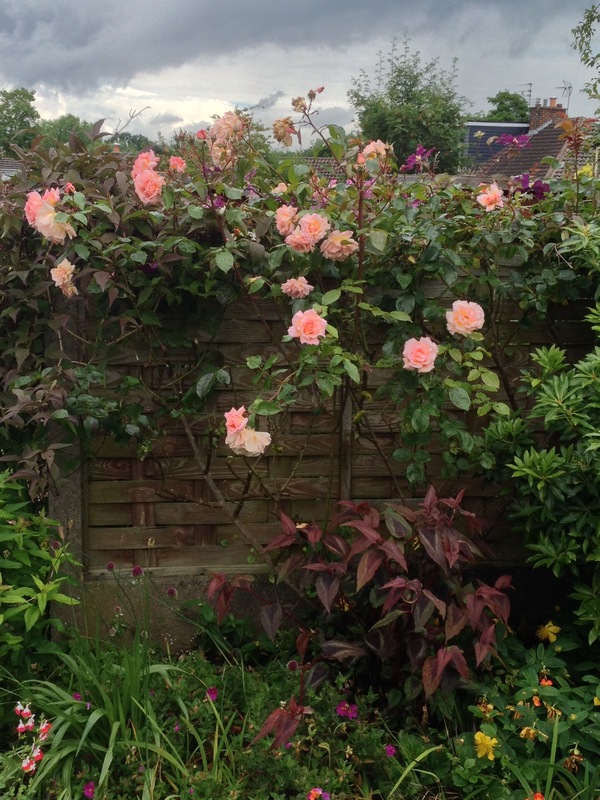 The roses especially the ones against the fence (climbers I think – again pictures below) have also been great. They like the rain. I also have an alstroemeria (lily) that has flowered for months although it’s sister in the back garden only really flowered once and has been resting ever since! There are other successes and failures but that will do for now. 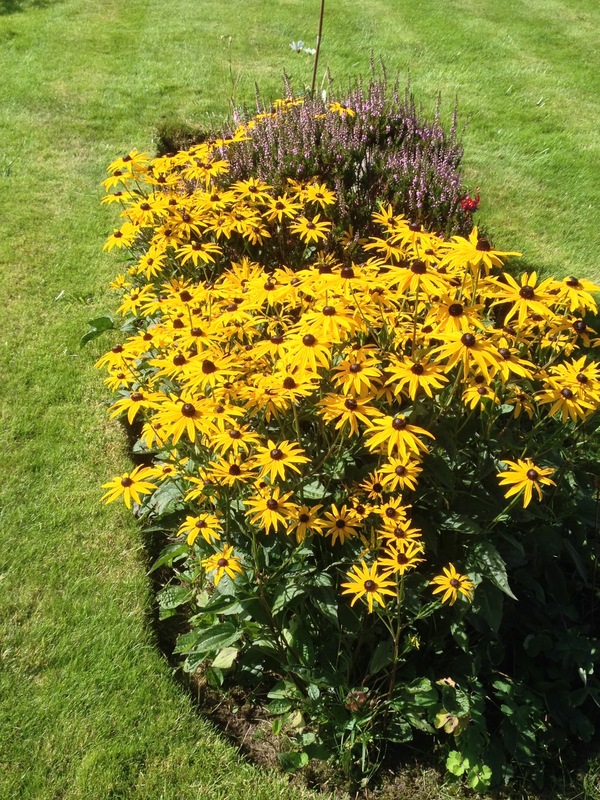 I’m interested to know what has gone well and badly in your garden this year – so do leave a comment. Well there isn’t much new in flower in my garden at the moment. The cosmos that are flowering are doing well and some still haven’t started flowering so I fed them with miraclegro a few days to encourage them on. I hope it works. 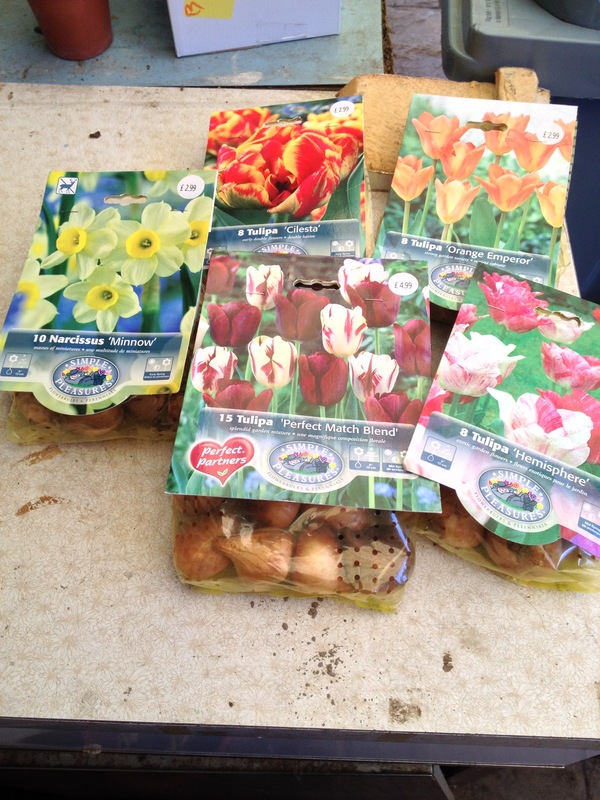 I have bought some new tulips and daffodils to put in pots for next year. 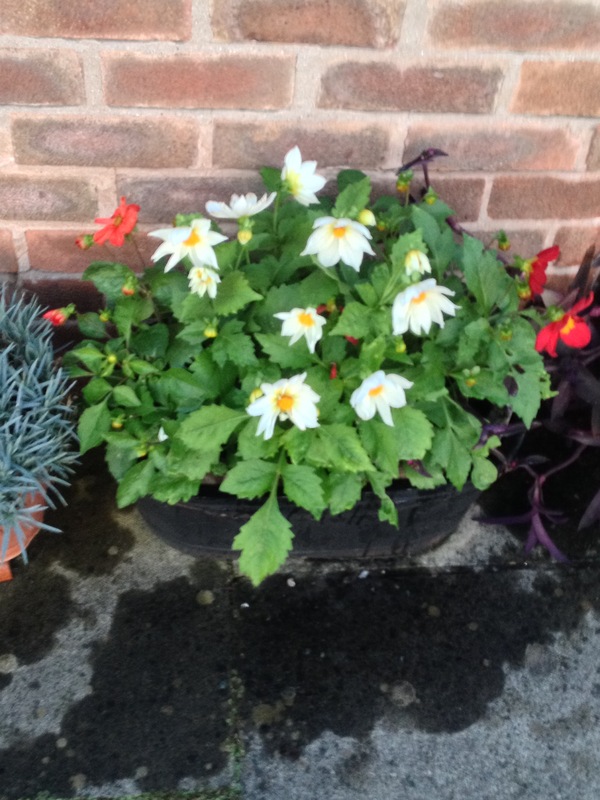 I find growing them in pots better than my clay soil. I also don’t remove them as some people do when they’ve finished flowering. I just hide the pots away somewhere they can’t be seen. 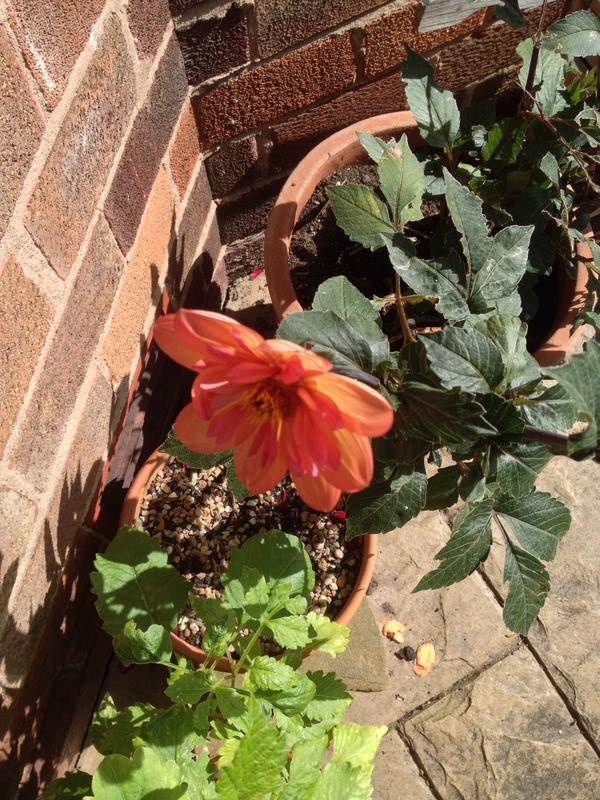 So my pictures are of rudbeckia, a rose, a dahlia called ‘tiger eyes’ – orange and pink. Then lastly one of the new bulbs I’ve bought.